The Dark Teal: MUUBAA for this fall. Normalmente, visito o site da MUUBAA para ver os biker jacket [que são lindos] mas, esta estação, a colecção de malas e carteiras também está muito interessante. Linhas direitas e simples mas com um certo je ne sais quoi que é o suficiente para marcar o look. 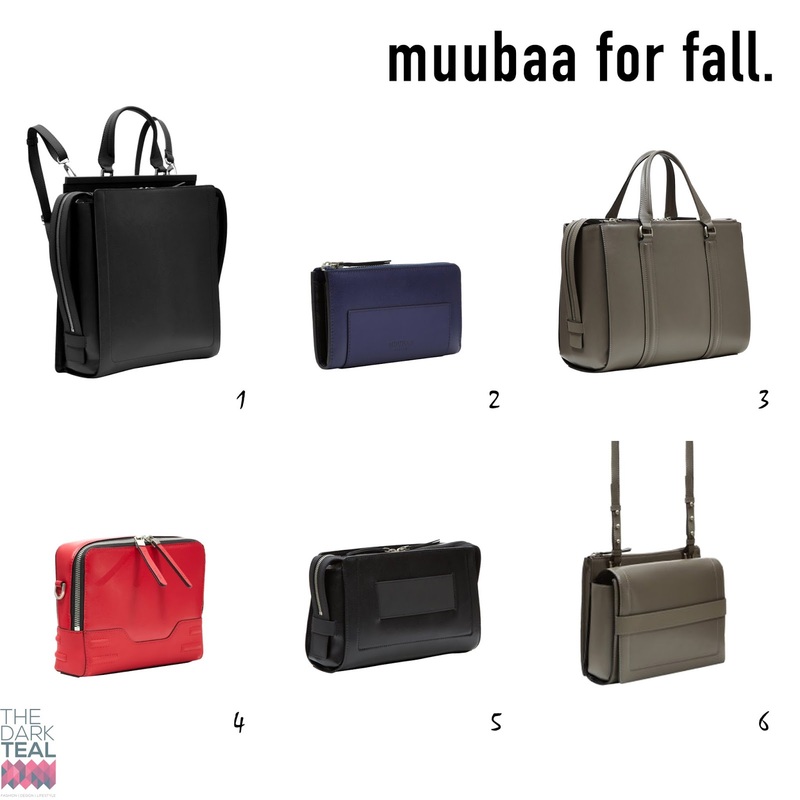 Usually, I visit MUUBAA's website to see the biker jacket [that are beautiful] but, this season, the handbags and purses collection is also very interesting. Straight and simple lines but with a certain je ne sais quoi that is enough to set the look.